Utility? Grid Operator? Aggregator? Prosumer? Flexible Consumer? Storage Provider? Application Provider? 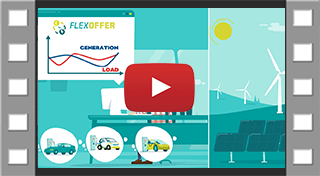 Flexibility Research Project?| Are you interested in developing an energy system that works bottom-up?| Let´s collaborate to push the market for energy flexibility and exchange experience and technology. Present your expertise and swap ideas with people working on flexibilty. The GOFLEX Community:Time is up. Let's shape the Market for flexibility together! Let's collaborate to push the market for energy flexibility and exchange experience and technology. GOFLEX creates an integrated set of technologies, which provides solutions for all market actors who want to use, provide or trade local energy and flexibility on a cloud-based market application. The project has started with 3 European demonstration sites involving over 400 prosumers from the industry, building and transport sector. For more information visit our project website. A lot has been discussed on the role of of Cambridge Analytica on Trump's campaign using Big Data from Social Media in combination with psychological profiling since this article was published. It looks that Cambridge Analytica's statements have mainly been clever propaganda and pretty far from truth. Still this article is very relevant and interesting to read because it shows the power of Big Data analytics in combination with personality profiling. you need to drive a TESLA for 8,2 years to perform better than a fossil fueled car. it all depends on how the battery is produced, where the electricity comes from. The calculation is made based on today's energy mix. Interested in other projects working on energy flexibility? ELSA develops an innovative energy storage system using second life electric vehicle batteries. We are convinced that one company or project alone cannot accomplish to make a distributed renewable flexible energy systems a reality in Europe. For that reason, we decided to create the GOFLEX Community and invite all who are interested in working on this issue together to join us.